‘Ben is Back’ frames the opioid epidemic in a new way – Cinema or Cine-meh? Opioid overdoses killed about 50,000 Americans this year alone, but for years, Hollywood has struggled to convey just how dramatic the situation is. Documentaries like “Heroin(e)” are heartbreaking, but sometimes a skilled team of actors can hammer an emotional point home better than a series of doctors and other talking heads can. Earlier this year, “Beautiful Boy” presented a more cinematic vision of addiction, which was good but not especially memorable. 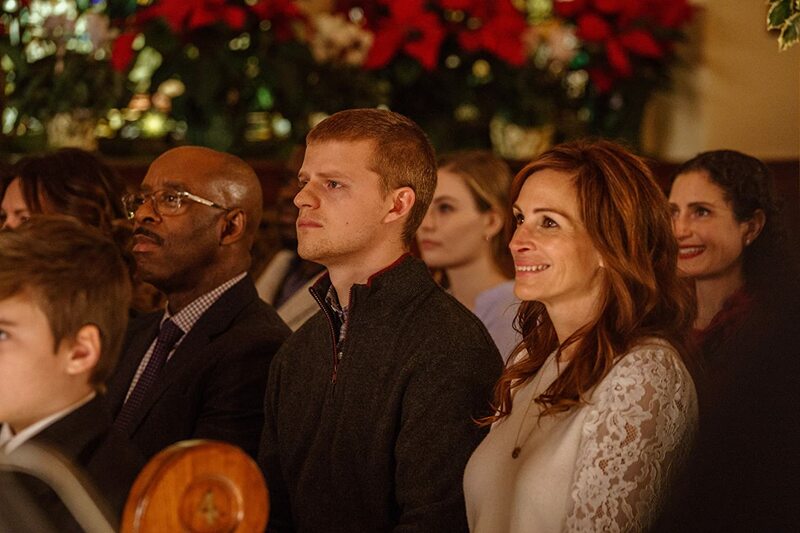 “Ben is Back,” starring Julia Roberts and Lucas Hedges, might be more effective at speaking to more people. It looks at how an upper-middle-class family living in upstate New York can have their lives turned upside down because of a son’s addiction. At times, I was on the fence about whether the situations this family finds themselves in were realistic or a bit hyper-dramatic. But, then again, I have no personal experience with addiction—I don’t presume to know how extreme an addict’s circumstances can get. When Ben (Hedges) returns home on Christmas Eve to his mother (Roberts), step-father (Courtney B. Vance), sister (Kathryn Newton), and half-siblings (Mia Fowler and Jakari Fraser) after a stint in rehab, his family is cautiously happy. Old habits die hard, and nobody knows that better than Ben, who fights a constant battle to prevent his old life from regaining control and disrupting his so-far-so-good sobriety. For the first thirty minutes, I was convinced I would be adding “Ben is Back” to my year-end best list. 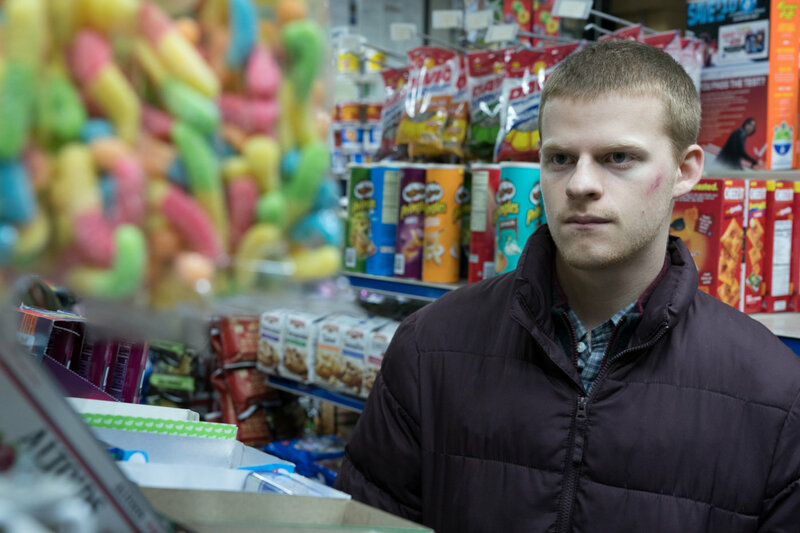 Under the direction of his father, Peter Hedges (who also wrote the movie), Lucas Hedges gives a strong performance early on. Like, “Manchester by the Sea” Oscar nomination good. He looked every bit the part of the 77-days-sober addict who missed his family and his dog and is trying his damndest to make things better. And Julia Roberts is consistently, thoroughly, honestly marvelous the whole time. But especially early in the movie, her Best Mother of the Year goodness overflows so much that you start carrying your empty popcorn containers to the front of the theater for a chance to have some. For a movie set during the holiday season, it’s extra enjoyable to see such warmth radiating from the screen. Her motherly chemistry with Hedges makes all of the difference in this movie about the importance of a loving (or tough-loving) support system. And after Courtney B. Vance gave one of the best television performances of all time in “The People v. O.J. Simpson” (and if you aren’t quite on board with that sentiment, you should try watching it again), I can’t look at him the same. He’s a god among mortals, as far as I am concerned. His bad cop parenting has a Severus Snape vibe to it—evil, until you know better. He shines in a small, understated role. About half-way through the movie, though, this film about the subtle triggers that drudge up an addict’s inner demons (like rediscovering an old hiding place, or bumping into a guy you used to sell to) turns into a dive into the deepest, darkest places addiction might take a person. I’m not talking about emotional places now, but the real, dangerous places that one might end up in the throes of addiction. Sometimes, it seems like “Ben is Back” goes places few addicts have gone before, especially in the short time frame in which Ben does it. Or maybe I cannot comprehend just how common a life like Ben’s really is. Either way, during the second half of this movie we see Lucas Hedges less convincing in his portrayal. And although Julia Roberts stays truthful to her character, we see her more often apart from Hedges. That distance really makes it clear how good they are when they’re on screen together. But despite its roller coaster second half, “Ben is Back” should strike a chord with anyone looking to see how desperate the opioid epidemic has become in this country, for families that might look like yours.